Fundraiser by Doug S : Please help Retired & Aging Horses! 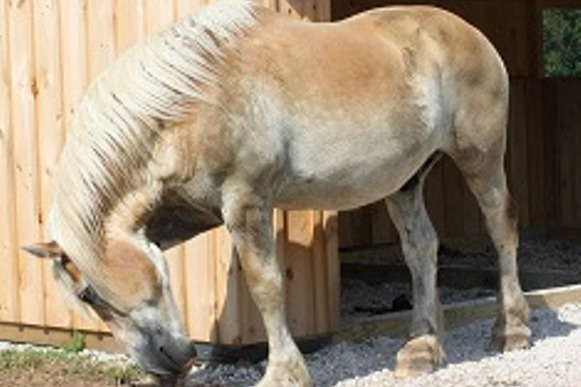 Please help Retired & Aging Horses! There are a large number of farms that care for aged, abused or injured horses, providing a home where they can spend their golden years out to pasture. These horses are never worked, go to auction or are used for experiments. They simply spend their days grazing and enjoying life with their friends, as part of the herd. I’m seeking donations to pay for some special far infrared, breathable wraps to donate to organizations for retired and aging horses to help them spend the time they have left free of pain. Many aging and retired horses are put down due to the lack of funds for therapeutic products that not only can reduce their pain, swelling and inflammation plus accelerate their natural healing process. The products desired to share are made by EyeOn Equine Care. Their far infrared leg wraps are breathable so there won’t be any problems with horses wearing the wraps during any heat waves. I know of a trainer who used the wraps during a clinic in Texas when the temperature was 100º F. When he finished he said both he and his horse were dripping wet in sweat. After taking off the wraps he felt the legs weren’t hotter than any other part of the horse. There are some other good products that can help aging and or injured horses and I hope to test some of them as well with the hope of providing them to various farms. I do volunteer at one farm for retired horses during their fundraising events. It costs $12,000 per horse each year on the farm to ensure their proper care with a nice stall, straw, hay, feed, cleaning and pasture. They just don’t have enough to provide all the medical products they need. Most of the horses are over twenty years of age but some horses are younger that were rescued from abusive or neglectful situations. Please help us help as many aged and retired horses as possible to live out their remaining days as pain free as possible.